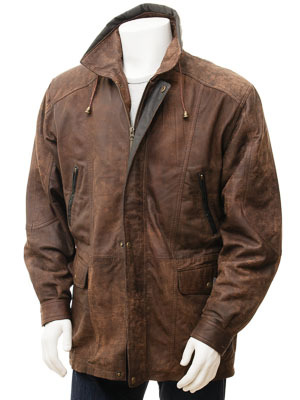 A superb, mid-length leather coat in brown. Large enough to be comfortably worn over a blazer or suit jacket this is crafted from a sheep aniline hide which has been finished to an vintage, waxed appearance. 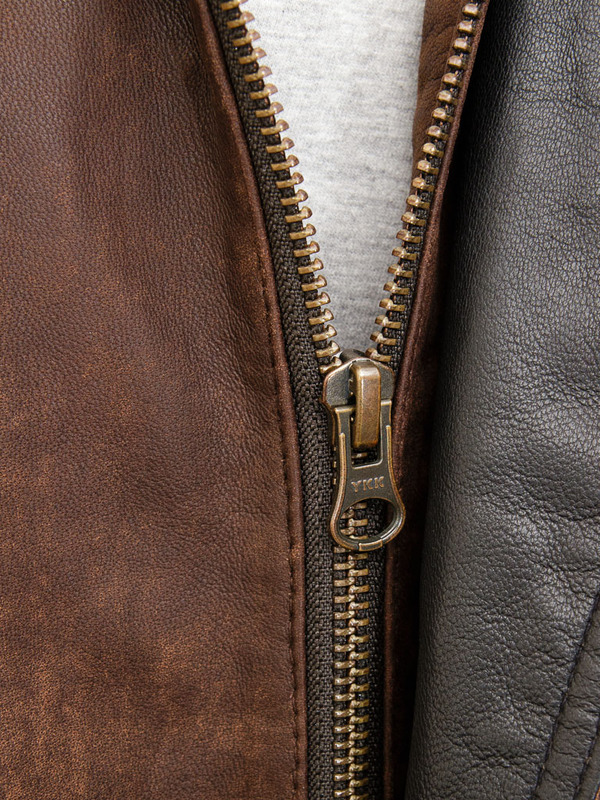 The coat is fastened with a sturdy YKK zip which is covered by a fly front with contrast leather facing and press studs. 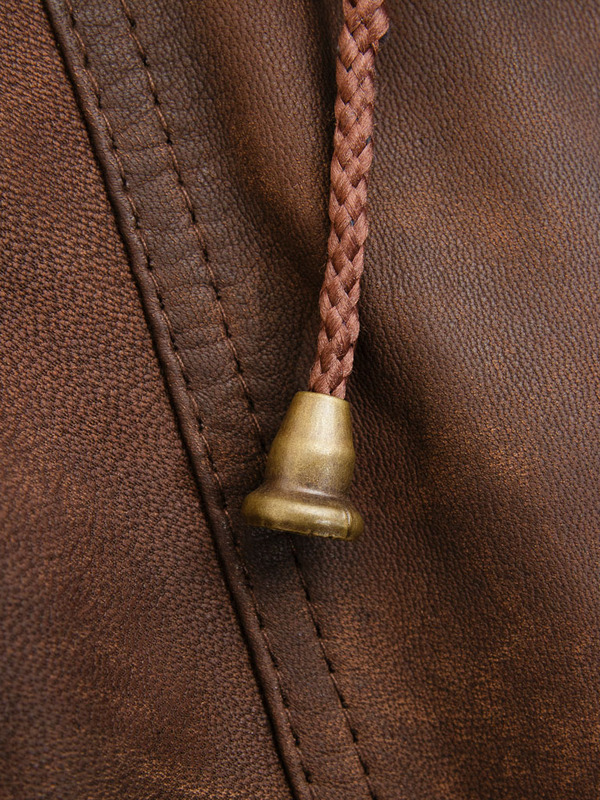 The collar is high shirt style which can be worn up or folded down and includes an integrated drawstring. 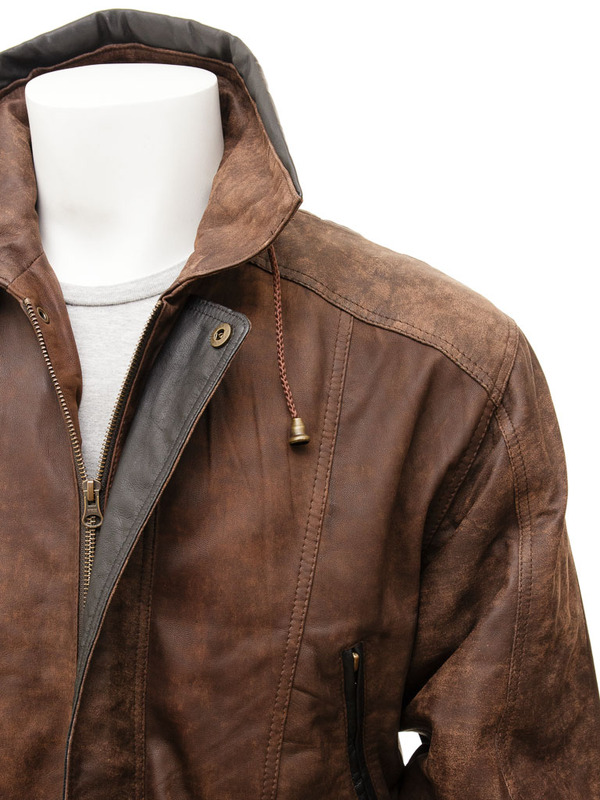 This coat is well served for pockets with two zipped at the waist and two deep patch pockets on the hip. These are also side entry so you can warm your hands too. 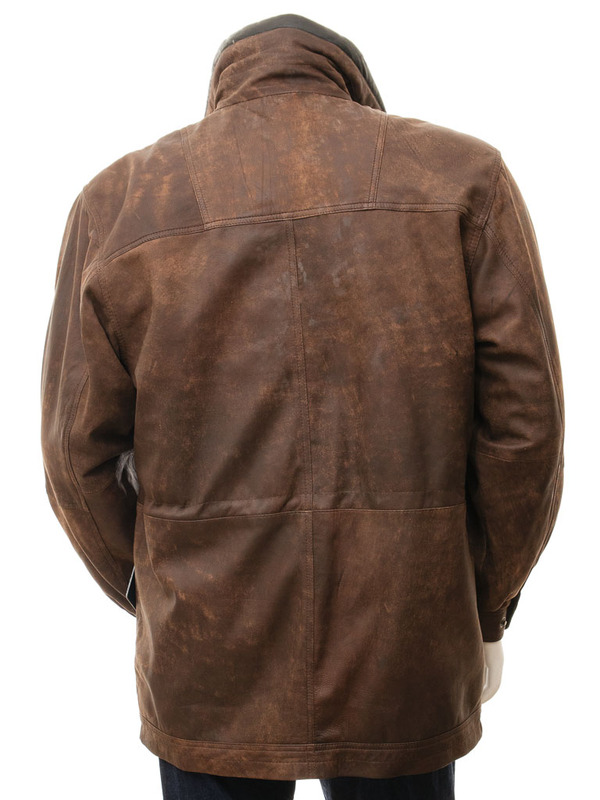 Take a look inside and you will find the coat fully lined with an internal drawstring at the waist plus three more leather trimmed pockets.